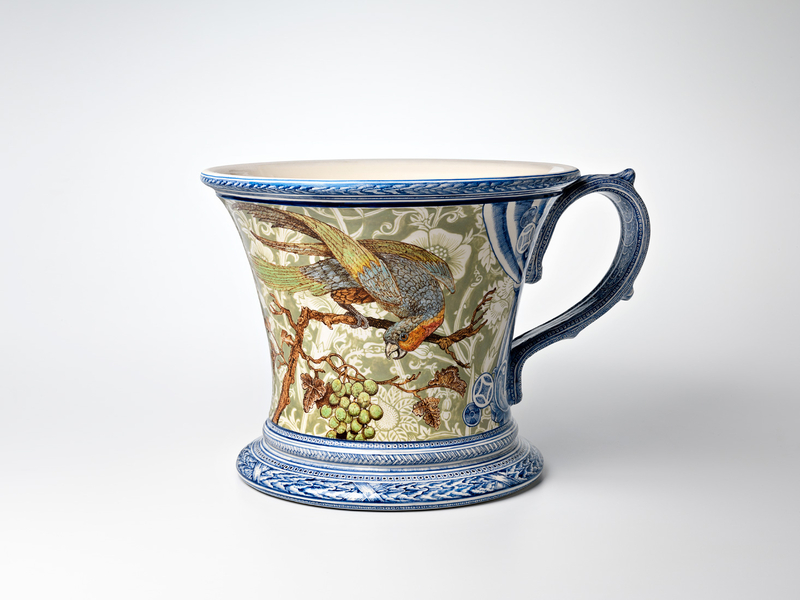 Bowers co-opts the English blue and white ceramic tradition, laboriously hand painting instead of printing. 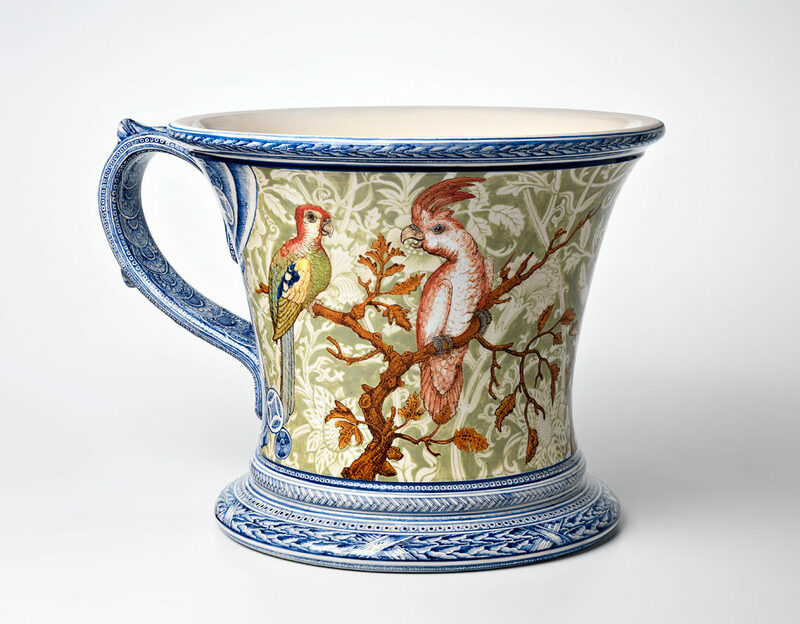 It can be found in many of his bowls, plates and vases and can be seen in the elegant decorative borders of the out-sized cup, suggestively titled, Child’s Play, 2013. His borders often have multiple patterns with rich embellishment, some purely geometric, others more directly based on plant forms.